When someone has surgery, there is always an expected time for recovery. They need to rest and let their body heal. 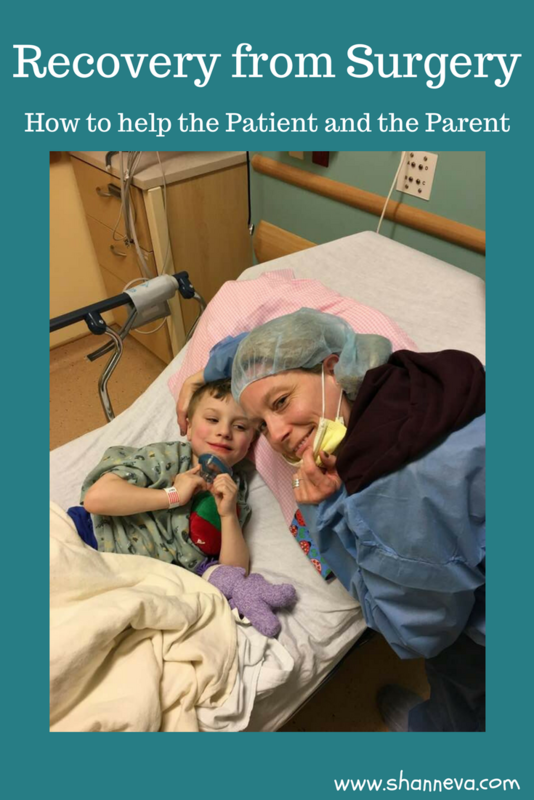 When it’s your child that has surgery, you want to help them during recovery, take away their pain, and get them back to their old self as soon as possible. However, there is someone else that also needs to recover. As a parent, it’s hard to watch your child go through an experience like this. No matter how routine the surgery is, it takes a toll on our emotions. It can take a toll on us physically, as well. I’m learning the hard way that both the patient and the parent need recovery time. 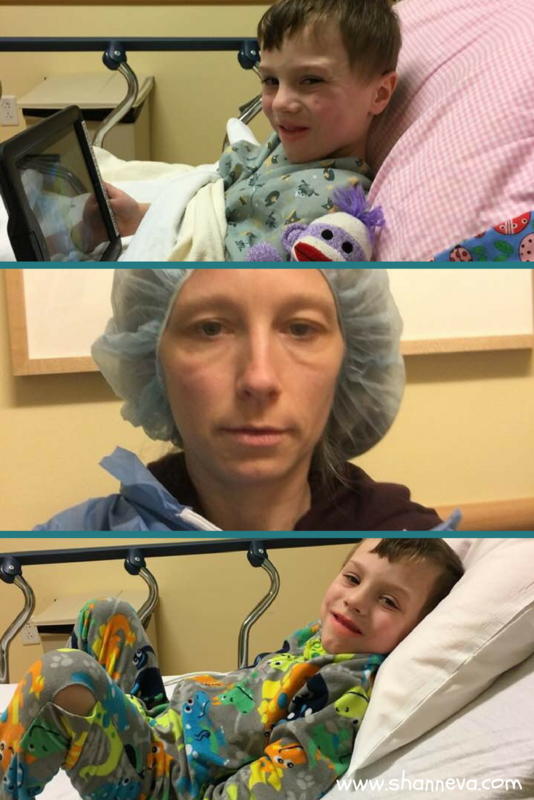 Last Thursday, Little P had surgery. If you read my post, you’ll know that I was extremely anxious about it for a variety of reasons. So, even though I was doing my best not to think about it, I wasn’t getting the best sleep, eating too well, or really taking care of myself. 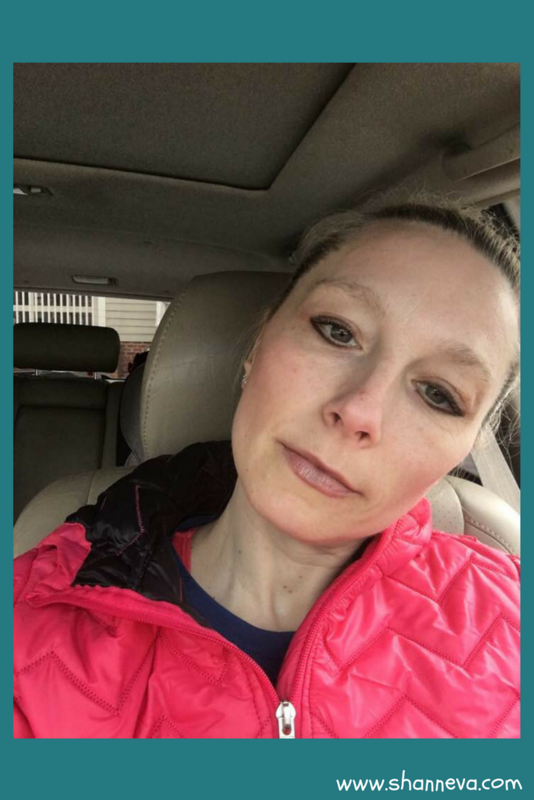 All of my energy was focused on getting through the days leading up to the surgery, and the surgery itself. I was trying to remain strong for my little guy, and not let anyone see that I was really worried. Hiding your emotions from the people you love is a pretty daunting task. Hiding them from yourself is even harder. But, I did it. I kept myself busy getting things ready, trying to prepare Little P, and also trying to prepare his brothers. We would casually mention the surgery in the weeks leading up to it, and we had a longer conversation at the beginning of the week. The night before is when it got real. I bought the books, I watched the hospital video on “how to talk to your child about surgery,” and did some Googling. 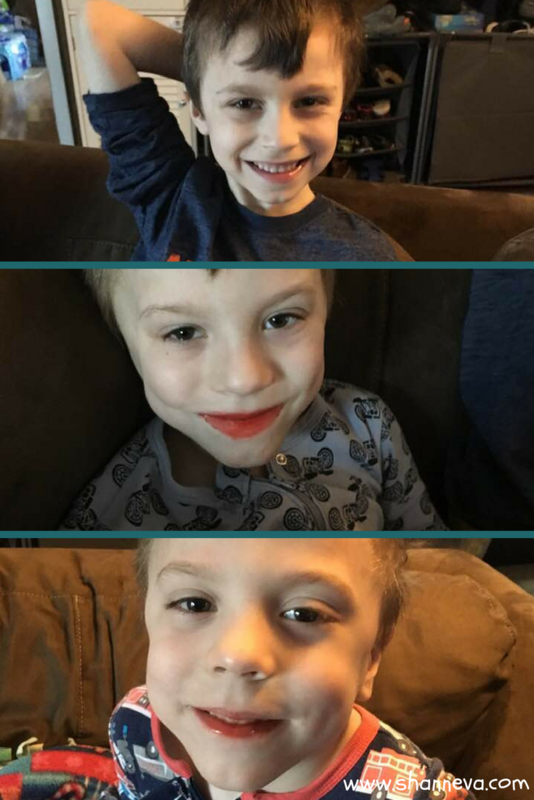 When the boys got home from school the day before surgery, I sat them down in hopes of talking about what was going to happen. I totally lost my audience. We also squeezed in a bath because those were part of the pre-surgery instructions. Then, we decided to let the boys stay up late and watch a movie. The surgery wasn’t scheduled until 2:30 pm on Thursday, so the plan was to let everyone sleep in, and then I would take Mr. B and Big C to school a little late. Everyone wanted another popsicle, and no one wanted to go to school. Still, we got Mr. B and Big C dressed, got them in the car, and walked them to class. We made it without tears, so I consider that a success. Little P stayed with Dad, quietly playing by himself. I think he actually liked a little alone time. I KNOW he liked being the only staying home from school. By the time I got home, packed a bag, in case we ended up staying overnight, and forced one more popsicle in Little P, it was time to go. Little P was very quiet in the car, watching a DVD. My husband concentrated on the road, and I flipped mindlessly through some magazines. We were at the hospital in no time at all. Since it was a Children’s hospital, it was very cheerful inside…well, as cheerful as a hospital can be. They also had a carnival with clowns, balloons, and activities going on for St. Patrick’s day. Everyone was very friendly and helpful, and it was easy to find the surgery floor. We had our own private room, and were given a pager. It would go off periodically to update us on where they were at with surgery. They let Little P pick out a homemade pillow case (he chose pink with ladybugs,) found him some pajamas, and set him up with some cartoons. There was also an Ipad for him to watch or play games on. He was set! The nurse came in to get his vitals. As soon as they hooked him up to the monitor, I lost it. Those beeps just brought me right back to the NICU. I could see him in his isolete. The wires. The fear. But, I didn’t want to scare him or upset him, so I took a few deep breaths, a few tissues, and calmed myself down. Luckily, there were quite a few preparations and people to meet before surgery could begin. The nurses were amazing. They kept checking on us, explained how everything at the hospital worked, and made Little P comfortable. They even did his pre-surgery scrub down for me. I had to use some wipes at home the night before after his bath, and it was almost impossible. That little guy is ticklish! So, the nurse got him all clean, and even helped him with his jammies. Then, the doctor came in. She examined Little P to make a plan for how she was going to do the surgery. He was super ticklish and hard to hold down. She thought maybe the nurse had given him the medicine to make him a little loopy. Nope. Just silly Little P! Right before surgery, we met with the anesthesiologist. 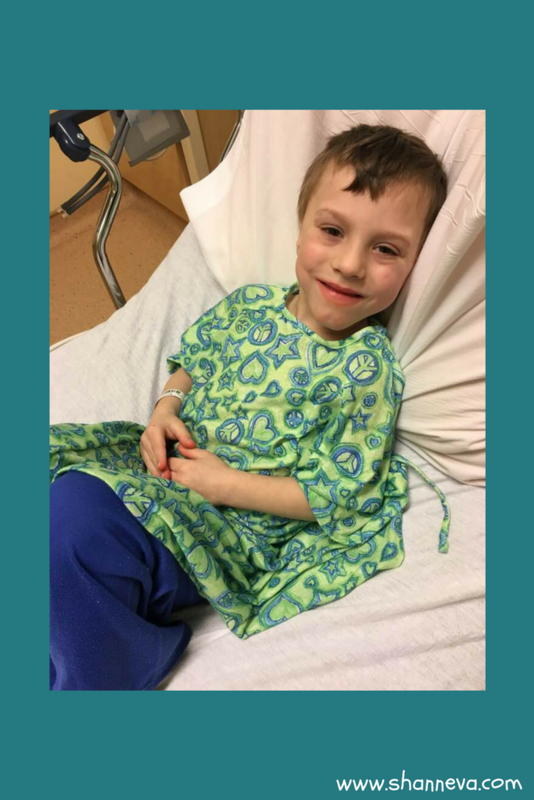 She explained that he would be sedated with a mask, and would only have to be intubated if the procedure took too long, or if he was having trouble breathing on his own. Yep. She was perfectly fine with that answer. She also got me a pair of disposable scrubs and a mask, so I could go into the surgery room with him until he fell asleep. The nurse gave him some medication to calm him, and then we were ready to go. I walked along his bedside as they strolled him into the ER. I managed to hold my tears and keep a smile on my face while reassuring him that everything would be fine. He wasn’t really nervous, but he did keep checking to make sure I was there. The Child Life Specialist also came along and was very helpful. They then gave him the mask with the bubblegum flavored air. He actually tried to lick the inside of the mask. It was pretty funny and cute. It seemed to take a while for him to fall asleep, but it was probably just seconds. They let me kiss him goodbye, and I whispered that I loved him. I held it together until I left the room. I got back to the room, peeled off my scrubs, and we decided to go and eat. Neither of us had eaten since breakfast, and it was after 3 pm. Unfortunately, the snack area was closed, so we walked to the regular hospital cafeteria…with our pager, of course. While we were eating, it went off and made me jump out of my seat. Luckily, it was good news informing us the surgery was underway and Little P was doing great. It made me feel a little better. We went and browsed the gift shop, and then we headed back to the room to wait. I flipped through TV channels, until finally settling on Friends. I think I watched the whole series during my pregnancy with the twins, so it seemed like an appropriate distraction. The nurse was also nice enough to get his prescription for pain medications ready, and my husband went to the hospital pharmacy to get it filled. Finally, another pager message saying they were finishing up. Little P would then be taken for a sedated MRI to check on his spinal cord, and then they would come and get us when he was waking up. Even though it was probably the shortest part of the nearly 4 hour procedure, waiting for them to call us to see him seemed to take forever. When the nurse came to get us, I wanted to sprint down the hallway, but instead, I just walked really, really fast. I saw my sweet boy, and he was smiling, but very, very sleepy. The nurse said he even smiled when he first woke from the sedation. Now, we needed him to stay awake, so we could go back to the room and get discharged. We tried talking to him, but he just kept dozing off. So, we tried a Popsicle. No luck. Finally, the Ipad. I was pretty much moving his little hands to play a game, but at least he was keeping his eyes open. So, we were able to take him back to the room. Once in the room, he woke up a little more. He wasn’t in pain, but really wanted to sleep. However, he had to walk a few steps before we could leave. So, the nurse let him relax for about 15 minutes, and then she came back to see if he could walk. He was only sedated, and didn’t have a spinal block, since they were concerned with his spinal cord. But, he still had trouble walking, and that was pretty upsetting to him. Luckily, a promise of a wheel chair ride made him feel better. Back in his own pajamas, snuggled in the wheel chair with his stuffed animals, we were ready to go home. I don’t think we even made it out of the parking lot before he was fast asleep. I sat next to him in the backseat, just in case. His brothers were waiting up patiently when we got home. They were all pretty happy to see each other. Little P was still pretty upset that he couldn’t really walk, but I again calmed him down because I told him he could sleep in my bed. I wasn’t letting him out of my sight. We are now about 3 weeks past surgery. Little P’s recovery has really been great. He really didn’t have much pain, and only took the strong stuff the first two days,. The only trouble we’ve had is keeping him inactive! Stay on top of the pain medication. It’s better to just give the medication in the first couple days at the specific time intervals. If you wait for the pain, it’s too late. Stock up with new treats. Popsicles were seriously a life saver. They are not a regular item in our freezer during the winter! Prepare some low-key activities. Movie night, new coloring books, new trains/cars did the trick. He didn’t really have many restrictions, but I also didn’t want him to hurt himself. My boys can play pretty rough. Plan on a couple of days off. Luckily, I had asked off work, so I was able to stay with Little P.
Get some help. If you have other children, they will need you too. The day after surgery was a Friday, so they went to school. Then, my husband was home to help out on the weekend. Rest and take care of YOURSELF! I’m sure you’ve heard this before, but you can’t take care of someone else if you don’t take care of yourself first. I did not follow this rule and paid the price. Me on my way to work. Already not feeling so hot. When I finally went to urgent care on Thursday, I had Strep Throat. Then, I had to rest because I felt terrible. I haven’t had Strep throat since I was 17, when it was chronic. At that time, I had to have my tonsils removed, and I’ve been lucky to never get it since. I honestly didn’t remember how painful and awful it is. I was down for almost a week. So, please learn from me. Even though it may be hard to take a recovery day for the parent/caregiver, you need one. It’s hard to worry about a loved one. Even if you are the most easy-going person (which is the opposite of me, by the way!) it will still take a toll on you. We have a follow-up visit coming up in a couple of weeks. Little P’s surgical tape came off, and his stitches are almost dissolved. Recovery is almost complete! His only restriction is that he can’t ride a bike. Luckily, Wisconsin weather has helped us out by putting snow on the ground. Not so lucky? We went to a birthday party at one of those play places. All the boys were racing around on tricycles, and I couldn’t let Little P in on the fun. So, I promised him a return trip as soon as the doctor lifts the restriction. Thank you to everyone for all the kind words, thoughts, stories, and prayers. They really, really helped! Have you been through a surgery? Or surgery with your child? How was your/their recovery?